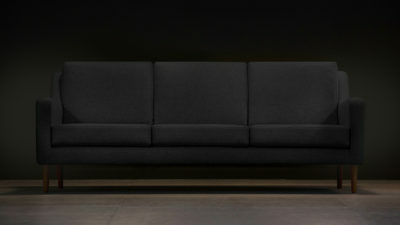 The Jet Stream offers a contemporary form designed especially with comfort in mind. The distinctive swept profile defines this elegant silhouette. Inspired by the sleek and streamlined style of American modernist design. This collection features a handmade, solid walnut frame and deep, sprung upholstery. I'd like to receive information and commercial offers from Century Modern. I agree to my personal data being stored in order to do so. I want more information on a product and some more pictures? Can I get swatch samples of your fabrics? 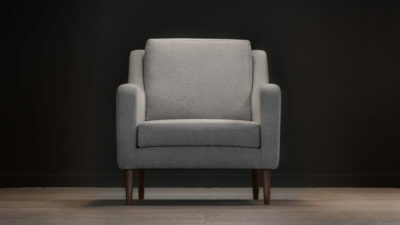 Let us know which chair or sofa and the fabric you are interested in via email and we’ll send you some over. When you’re ready to pay, go to your basket and add your code into “coupon code”. The code is not available on sale items. View our Delivery & Returns page for everything you need to know. How can I contact your customer services team? Can we view the chairs in person? 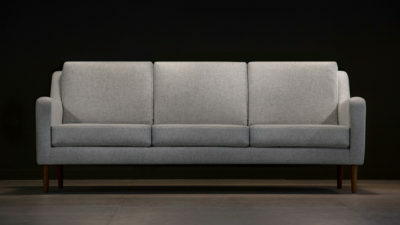 Email us at info@centurymodern.com for more information on viewing furniture. My country is not listed on your shipping list, will you still deliver? Please contact us via email with your requirements and we’ll be happy to provide you with a quote. Send us an email at info@centurymodern.com for further information on bespoke orders. If you have placed your order and need to make an amend, email as soon as possible on info@centurymodern.com. 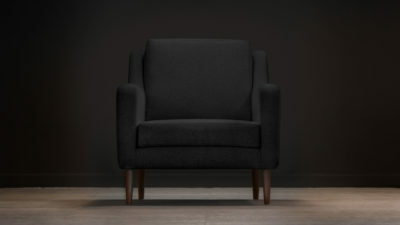 Please email us at info@centurymodern.com as soon as possible with the details of your order and any relevant images. You can see the precise measurements by clicking on the product page. Please measure all access points before purchasing. We accept Amex, Visa Credit, Visa Debit, Mastercard, PayPal, Apple Pay and Google Pay. Sign into your account on our website and go to “My Orders”. As soon as your purchase has been accepted, you will shortly receive a confirmation email. If you cannot find it or didn’t receive one, email us at info@centurymodern.com with your address and the items you have purchased. Your estimated delivery date will be stated clearly on your confirmation email. a) Other than all made to order items, including bespoke or customised collection items, the buyer is able to return goods within 14 days of delivery/collection provided the goods are properly packed and returned in the same unused condition supplied. Damaged goods cannot be accepted. b) Returned items will be subject to restocking fees detailed in section 9.
c) Mattresses that have been removed from the original packaging cannot be returned. d) The seller will only pay the cost of return carriage where the goods are deemed faulty or supplied in error. e) If the buyer returns the goods and upon examination, the seller finds that there is a discrepancy in the reason for return, then the seller reserves the right to refuse the credit. f) The seller reserves the right of discretion, to accept/or refuse the return of any goods supplied. g) Refunds, exchanges or credit notes are not available for items sold on a promotional sale, special offer, bespoke items or items that are stated as “sold as seen”. h) If a fault is discovered after the goods have been exported out of the UK by the buyer, it is the buyer’s responsibility to return the goods to the UK at the buyer’s cost for inspection. If a repair or replacement is produced by the seller, it will only be delivered to a UK destination. If the buyer then wishes for the goods to be exported, it will be the buyer’s responsibility to do this at the buyer’s cost and risk. For export orders, it is therefore recommended that inspection takes place in the UK prior to shipment. a) The seller guarantees the wooden frames and springs of all furniture for 10 years residential use and 5 years contract use, from the date of delivery. The guarantee excludes normal wear and tear, any fillings, fabrics, legs and mechanisms. This guarantee is given in addition to and not in substitution of your statutory rights. b) Our foam and fillings, an interline where requested, pass the match test described in Schedule 5 Part 1 of the Furniture and Furnishings (Fire) (Safety) Regulations, published in the UK in 1988.
c) The seller will only replace like for like, the buyer cannot change any of the sizes, fillings or fabric. Upon a return, if a change is requested can be made at an extra cost, please request a quotation.